THE year of the Metal Rabbit, which begins on February 3, will be a better year for Philippine business and the economy in general. 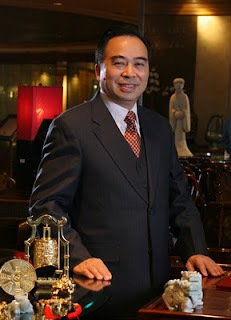 This is not surprising as most of the country’s leading business personalities are themselves fortunate this year, per the readings of Joseph Chau, resident geomancer/feng shui practitioner of the Mandarin Oriental Manila. The luck is not limited to the country’s top chief executives but its political leaders, as well, such as President Aquino and Vice President Jejomar Binay, and the Aquino administration’s officials overseeing the economy. In a press conference on Monday, Chau said the dominant elements this year will be metal and wood, so the businesses that will be generally profitable this year are car-selling, banking and mining, especially in gold, while wood would connote garments, bookstores and the publishing industry. Because the Philippines was born on June 12, 1898, (Aguinaldo’s Independence Day), that makes it an Earth Dog. 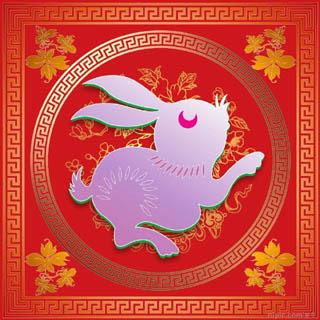 According to Chau, “Dogs are the most compatible zodiac sign of the Year of the Rabbit,” and as such, he sees the Philippine economy “going up” this year. Those working in the entertainment industry, especially those in films, will see their movies making money, as it is ruled by the metal element, as well. He added that an orderly transportation industry, where cab drivers, for instance, properly register their names, would boost the tourism sector, and travelers will find them more trustworthy. The year of the Metal Rabbit bodes well for those born in the year of the Dog (1922, 1934, 1946, 1958, 1970, 1982, 1994, 2006), such as PLDT chairman and Meralco President Manuel V. Pangilinan and beer and tobacco tycoon Lucio Tan. This is also a fortunate year for those born in the Year of the Rat (1924, 1936, 1948, 1960, 1972, 1984, 1996), such as President Aquino, Finance Secretary Cesar Purisima and Jaime Augusto Zobel de Ayala, chairman and chief executive officer of the Ayala Corp. However, Chau points to the relatively unlucky location of Malacañang and suggested that President Aquino put a water fountain in his office, if he doesn’t want to move his office to another location from the Premier Guest House. This would improve his luck and promote clarity in his decision-making. If Purisima is lucky this year, perhaps leading the government to keep its budget deficit at decent levels, so is Bangko Sentral ng Pilipinas Gov. Amando Tetangco Jr., who is a Dragon (1928, 1940, 1952, 1964, 1976, 1988, 2000), which will hopefully mean a tame inflation and stable peso for the country. Asked about the President’s prospects in terms of love, the master geomancer advises him to look for a woman “who was born in winter—November and December.” The most compatible sign for a mate for him would be a woman born in the Year of the Pig (1947, 1959, 1971, 1983, 1995). Pigs are described as honest creatures, gallant, sturdy, sociable, peace-loving, patient, loyal, hard-working, etc., and is one of the luckiest signs in 2011. 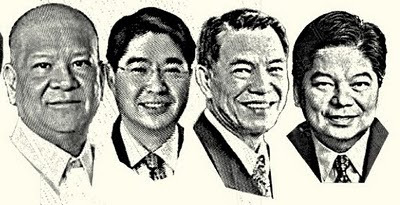 Horses (1930, 1942, 1954, 1966, 1978, 1990, 2002), such as San Miguel president Ramon Ang, Lopez Group Holdings CEO Manuel Lopez and JG Summit Holdings president and chief operating officer Lance Gokongwei, will find their luck “improving” this year. Chau said: “Since the Moon Star shines bright this year, they will have better luck in expanding their personal communication network that will help them have a better prospect both at work and business. Financially, [they] will have better luck developing their businesses. 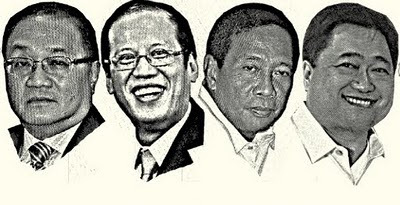 Vice President Binay, who is also a Horse and regularly joins the Mandarin Oriental’s Chinese New Year parade, will “work well together” with President Aquino this year. It is important for Monkeys (1920, 1932, 1944, 1956, 1968, 1980, 1992, 2004), like Aboitiz Equity Ventures president and CEO Erramon Aboitiz, “to have a good strategy plan in the beginning of the year if they wish to have a productive and successful year,” said Chau. The unlucky signs this year are, ironically, the Rabbit (1927, 1939, 1951, 1963, 1975, 1987, 1999, 2011) and the Rooster (1921, 1933, 1945, 1957, 1969, 1981, 1993, 2005). While Rats, Horses and Dogs are generally unlucky signs, those in business appear to be on a prosperous path but have to pay attention to their health and love lives. Those born under the Snake sign will, likewise, find themselves generally unlucky. But those working overseas will be prosperous. Chau said the lucky colors this year are gold, silver, white, sky blue, green, red, pink, violet, peach and orange.